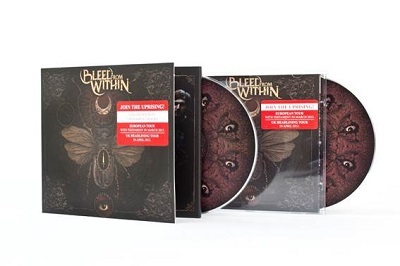 While BLEED FROM WITHIN are wrapping up their current tour throughout the European mainland supporting Testament and Dew-Scented their new album 'Uprising' is finally out now in the UK. There will be no way around BLEED FROM WITHIN live this year: While they are currently playing their European mainland tour supporting Testament and Dew-Scented they will embark on their own headlining tour throughout UK with support coming from Heart Of A Coward and Silent Screams in April. For the summer first festivals are already confirmed including Download Festival (UK).